2016 has been another year of hard work: innovating, writing, financing, managing researching and educating (phew!) all with the aim of 'Making Vascular Access complications history'. Members of the AVATAR team have published over 20 peer reviewed journal articles this year, with several others under review. So we continue to add considerably to the Vascular Access body of knowledge and inform policy, practice and thinking. Publications are but one, small outcome measure that barely reflects the many hours, weeks, months, even years of work spent on project conception, realisation and execution. Furthermore the end of the data collection phase of the research project often signals the start of the Knowledge Translation project to ensure our new knowledge also becomes new practice, and helps to improve the patient's vascular access experience. Education and evidence uptake activities continue to demand our increasing attention. To that end Claire and Marie have secured funding from Griffith University's Menzies Health Institute to support the appointment of a Knowledge Broker, Ms Kaye Rolls (find her on Twitter @kaye_rolls). We look forward to the outcomes of this innovative project next year. In addition to the written word the AVATAR team has put in an impressive showing at AVAS' inaugural National Scientific Meeting, the Word Congress of Vascular Access in Lisbon, and AVA's Scientific Meeting in Orlando (and many other scientific meetings) earlier this year. Scores of thoughtful, articulate and occasionally entertaining presentations helped to disseminate the art and science of what constitutes good vascular access care. In addition to these larger meetings, AVATAR was pleased to partner with AVAS in hosting a number of State based events to engage with practitioners and academics more locally to ascertain the challenges they deal with on a daily basis. Real world partnerships are at the heart of AVATAR's development to ensure that we research and hopefully answer, questions that are of true clinical relevance and need. All members of the AVATAR demonstrate hard work and commitment within their respective, but some individuals shone out this year. Research of the Year was awarded to Drs Gillan Ray Barruel and Evan Alexandrou jointly for their work the OMG study that collated data from 416 hospitals across 51 countries in 15 languages on use and outcomes of 40,620 PIVCs! PhD Student of the Year was awarded to Peter Carr for his persistence and diligence with his studies of PIVC insertion. The AVATAR encouragement award went to Dr Li Zhang for her dogged determination with grant and fellowship applications to ensure her vital program of research into infection prevention in VADs is maintained. Each of the recipients receives Professional Development money to support conference attendance next year. Sadly we were denied success in the NHMRC grant round this year but nonetheless the group secured over $1M in funding from industry and philanthropic bodies to support research into new dressings and devices, connectors, administration set use, and blood conservation. Other studies on VAD securement devices and materials and patency commenced and the RSVP trial finished! We wait in anticipation for the exciting results! Our partnerships with hospitals and industry are vital to our continued operation and success not just because we need the space, patients and the money to conduct our research, but because we need, we value, like-minded people who prize quality, independent research that answers real world questions with real world solutions! We received generous grants/donations this year from (alphabetically) 3M, Adhezion, Angiodynamics, Baxter, BD , Centurion Medical Products, Cook, Hospira, & Teleflex. A big congratulations to the now almost - 'Dr' Amanda Ullman whose PhD was awarded this year. Amanda managed the careful balancing act of family and academic work with aplomb to deliver her thesis ahead of time and received top marks. Amanda's first post-doctoral plans are enjoy some well earned time off with family, then secure a continuing position to ensure her continued valuable research into "saving children's lives, one line at a time"! Other graduates of note for the year include Emily Larsen (GU Post Grad Advance Practice), Maddie Williams (GU Masters In Clinical Microbiology), Douyang Zhao received a Scholarship for academic performance from GU School of Natural Science, Zachary Woodward (USC BSc Hons) and Sonya Wallace (USC BNSc Hons). Many others are soon to complete their PhD, and we look forward to celebrating with all at the June 2017 graduations. In addition to the many professional trials and tribulations many personal milestones were marked by AVATARians. Some welcomed new life and some farewelled loved ones. Some ushered children along their school journey and others from the nest all together. Some embraced new dwellings, others embarked on grand re-designs. We are community of people contributing the rich tapestry of life in so many different ways. An organisation, no matter how well designed is only as good as the people who live and work in it. AVATAR is a success because of what each member contributes of themselves and in their work. Wishing you all and your families a safe and Happy Christmas, and all the best for 2017. National study in paediatrics gave focus for improvement - 14% of CVAD dressings were not clean, dry and intact; almost 10% had 4-5 dressing/securement products in place; less than 1 in 5 ICU patients had a chlorhexidine dressing/disc. One in 10 children had symptomatic insertion sites (Ullman A et al, J Paeds & Child Health 2016). First RCT to show a statistically significant 10% reduction in PIVC complications & failure when 1-2 drops of tissue adhesive was added to 360 PIVCs (Bugden S et al. Annals of Emerg Med 2016). First RCT in jugular CVAD securement for 221 cardiac surgical patients. We found coagulopathy and early mobilization increased risk, and that tissue adhesive could not be used alone with transparent dressings, but with the addition of sutures had zero complications. Preliminary data was obtained on sutures (standard care) vs sutureless securement devices, and transparent vs bordered transparent or absorbent dressings (Rickard et al. J Crit Care 2016). Indepth genetic testing found significant correlation (matching) of bacteria at PIVC removal at skin sites and PIVC tip in 10 patients. However, different bacteria were found than those usually detected with current culture methods used in hospitals. (Choudhury M et al, PLOS One 2016). Only 5 RCTs (2277 participants) have tested how often to replace CVAD dressings. All from Europe, they studied different patient groups, specialty areas, dressing types, and frequency of replacement. Thus, no conclusive findings can be drawn and further trials are urgently needed. (Gavin N et al, Cochrane Database Systematic Rev 2016). We randomised over 300 paediatric patients with PICCs, tunnelled, non-tunnelled CVADs to combinations of integrated securement dressings, sutureless securement devices, bordered transparent dressings, tissue adhesive, sutures and chlorhexidine discs. The pilot RCT protocol is published (Ullman A et al, BMJ Open 2016). Our new National Health and Medical Research Council (NHMRC) funded PISCES Trial of more than 1200 cancer patients with PICCs started at the Royal Brisbane and Women's Lady Cilento Children's and Princess Alexandra Hospitals. We gratefully received project grants from the NHMRC, Princess Alexandra Hospital Research Foundation, Royal Brisbane & Women's Hospital Foundation, 3M, Adhezion, Centurion, Cook Medical, Entrotech, and Medtronic-Australasian College for Infection Prevention and Control. We thank our funders, especially our commercial supporters who continue to respect our academic integrity and the independence of our research. This year has seen some wonderful additions to our educational and evidence-based resources. Along with all the publications detailing the results of our studies and systematic reviews that provide information to inform vascular access care and practices we have been able to add some multi-media resources. A Griffith University (GU) Industry IT group were able to develop an application 'Did You Know?' that will be included in the GU Red Zones (a space for visitors to the university and students to immerse themselves in interactive learning experiences) and integrated into our website in the near future. It includes our top 5 recent high level evidence based practice tips and some personal stories to illustrate the importance of best practice vascular access care. Alongside the practice tips we have produced brief videos on each as well as cards to insert into identification/lanyard pockets. We handed out many at this year's AVA conference in Orlando and will also be providing them to AVAS/WoCoVA delegates next May. We hope to add to the personal stories to cover the diversity of devices and individuals and will update the practice tips as new evidence emerges. Shortly we will also have available a video produced through an unrestricted educational grant from Baxter around pre-insertion, insertion, maintenance and removal practices for peripheral intravenous catheters (PIVC). This is in the final production phase and will be uploaded to our website when finished. We have also just finished the data collection phase of our international web-based cross sectional study of over 700 participants that aims to establish what aspects of insertion and care are relevant and important to adults and children who have had the experience of having a peripheral intravenous cannulation (PIVC) in the last 5 years. Results will be disseminated next year. Finally we were successful in grant funding to employ Kaye Rolls as a Knowledge Translator for AVATAR for 2017. This is a relatively new role in healthcare to help identify barriers and enablers of knowledge use, and to 'push' uptake to policy and practice. Kaye has some great plans and will be doing about a 3 month scoping and consultancy exercise starting in Jan, to understand Australian and global approaches to the way knowledge changes hands in vascular access currently. We look forward to holding a State of the Art in Vascular Access Seminar in Sydney on March 6 at Rydges, Parramatta. As well as providing sessions on the current evidence base for PIVC, CVC and paediatric access we will be facilitating some focus groups on what works, what doesn't to provide us with great direction for our plans to lessen that research practice gap in vascular access. 'Twas the year of data collection for us in the FAB platform - literally, of what goes in and out Vascular Access devices. After much erstwhile negotiation and diligent planning we commenced the Flush Implementation Study that used the intriguing Step Wedged design. The study was funded by an independent competitive State government grant, but we were extremely grateful for the support from BD regarding product education and of course the support and cooperation of the nursing staff and patients from the numerous study wards. In lieu of much need high level evidence, the aim of this study was to promote consensus of practice through reiteration of current recommendations and use of relevant products use to help support these. Data collection will finish early 2017. At the other end of the 'research continuum' the fabulous biochemists on our team have shed an interesting light on the subject almost literally with their ultrasound investigation of what happens to the vein and blood components during an IV bolus injection. Preliminary observations have proven every interesting and may yet drive product development and use in flushing and infusion practice. We look forward to the outcomes of healthy volunteer studies due to finish early 2017 and incorporating the biochemical models into clinical trials. On the other end of the spectrum we had all important work on blood conservation in paediatric intensive care. The blood sampling arm of the platform was awarded a National Blood Authority grant mid year to quantify blood sampling losses in the critically ill children undergoing cardiac surgery and evaluate the impact of a closed loop sampling system on blood sampling and infection outcomes. These pint size patients only have a precious small volume of circulating blood that needs to carefully monitored and protected and minimizing iatrogenic blood loss plays a vital role in this achieving this. The new year will herald more questions but also answers to that help us advise practitioner on the best strategies to maintain VAD patency and functioning. 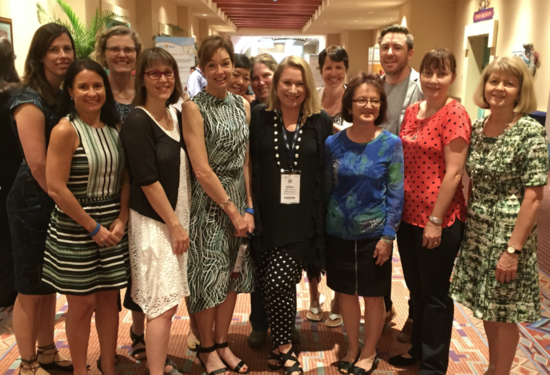 The past year has been a positive and productive year for infection prevention and microbiology platform. We established innovative methods on clinical sample collection, evaluation and data analysis. We worked with fellow AVATARians on clinical trials and provided microbiological evaluation on vascular access devices, to inform vital infection prevention recommendations. We are look forward to continued cross platform collaborations in 2017. The specific goals of the Infection Prevention team are to continue with unique and innovative laboratory studies exploring biofilm development on vascular access device surfaces such as radio-opaque strips, catheter infusion outlets, and needleless connectors, and to identify effective nursing practices that prevent device-related infections and other complications. We will also work with our industry partners to share our research expertise and contribute to the shared goal of valid and reliable microbiological testing models that informs best product and practice development. Within our own platform, I am pleased to say we were successful with Cancer Council Queensland grant ($200,000 for 2017-2018) for our COCOA trial!! It is a multi-centre, factorial, superiority randomized control trial testing alternative (i) connector design and (ii) connector disinfection strategies to prevent central line-associated bloodstream infections and occlusion for cancer patients who undergo anti-cancer therapy. Thank you to all who helped with this proposal and looking forward to research with you in 2017. 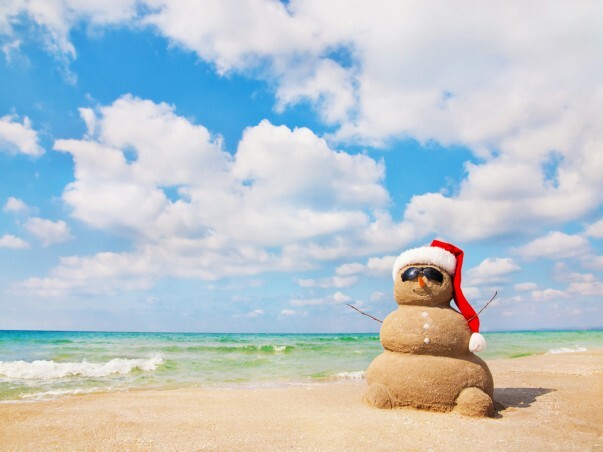 Wish you have a great Christmas holiday and Happy New Year!! Both graduates are preparing manuscripts for publication watch this space. Sonya's study was a secondary analysis of OMG data related to Nambour Hospital. The data analysis of the international OMG project is now underway and presentations have been made at WoCova and AVA 2016. Evan Alexandrou and Gillian Ray-Barruel are hard at work preparing publications and Frances Lin has presented some of the data in China. A number of studies have been on-going during the year. The REPLACE study at Royal Brisbane Hospital has finished data collection and Nicole Marsh is analysing the data as part of her PhD studies. Tricia Kleidon continues her studies into both CVADs and PIVCs in children at the Lady Cilento Hospital. Finally, the year has ended on a high with the news that Isabel Castillo Escobar, Claire Rickard and others have been successful in receiving funding from BD for the Integrated versus nOn-integrated Peripheral inTravenous catheter. Which Is the most clinical and cost-effective systeM for peripheral intravenoUs catheter Management? (The OPTIMUM randomised controlled trial). The project is funded for AU$661,846.00 and the study sites will be in Queensland and Western Australia. 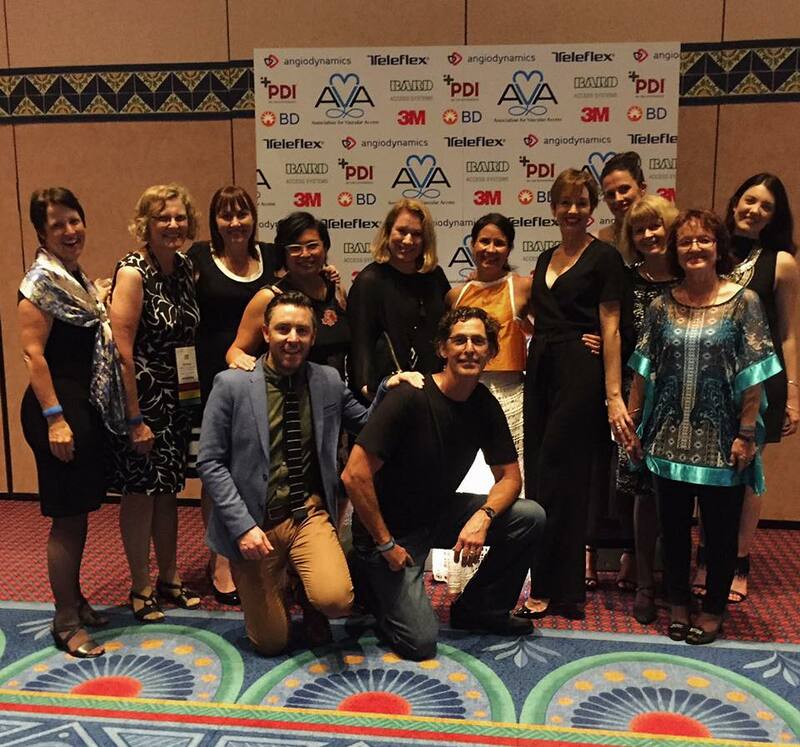 Earlier this year in September a dozen AVATARians travelled to Orlando, Florida to attend and present at the US Association for Vascular Access 30th Annual Scientific Meeting. The Society has come a long way from a group of like minded colleagues gathered together in the San Francisco Bay area by Suzanne Herbst to address the complexities and uncertainties of Vascular Access Devices (VADs) their insertion, use, care and maintenance. The group of 15 grew to nearly 1500 at this year's meeting. The highlight was the opening 'trip down memory lane' with talks delivered by Suzanne Herbst herself, Dr John W Broviac (nephrologist), our own Prof Claire Rickard (VA researcher), Matt Ostroff (VA specialist), Madeleine George (nurse and mother) and finally Roy George, Madeleine's son and long term VAD user as a patient for parenteral nutrition. We were reminded of the fascinating history and innovation within Vascular Access, the impact these devices, but also our care and knowledge have had on people's lives. Key themes and topics included the need to work together as a multidisciplinary group to deliver a holistic Vascular Access service; the need to collect data to demonstrate the impact of VA specialist services & teams, and of course the need for ongoing generation and implementation of high level evidence to drive best practice. This was underscored in the keynote delivery by Peter Carr discussing the evidence for the superior model for VAD insertion and management, indeed all the talks delivered by Australian researches and practitioner in relation VAD devices, reduction of infection risk, dressing & securement, flushing & flow dynamics. The entire Australian contingent was pleased and proud to contribute to the scientific program of the Meeting. Griffith University's Menzies Health Institute Queensland recently celebrated its first anniversary, marking one year of growth and development since the opening of the institute in 2015. A new MenziesHIQ video has been released on YouTube, featuring AVATAR's research as a highlight. 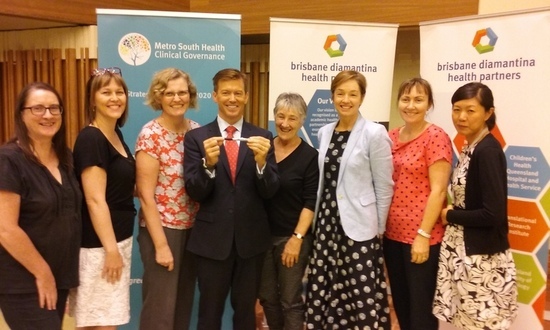 Several of the AVATAR Group were fortunate to hear patient safety guru Dr Peter Pronovost share his wisdom at the Translational Research Institute in Brisbane yesterday. World-renowned for his pioneering work on the CVC insertion checklist and achieving CLABSI rates of zero, Dr Pronovost discussed the importance of buidling a safety culture in hospitals. Implementing a checklist is only one step in achieving desired patient outcomes, claims Pronovost. Taking a different approach to patient safety, Pronovost discussed how to create a culture of systems improvement. Such a culture inspires teamwork and belonging, and a true commitment to patient safety. A shared belief that eradicating patient harm is possible and attainable, and is everyone's responsibility, from the janitor to the CEO. And we hope he uses the AVATAR pen! Did you know that the AVATAR website has undergone changes lately?